How To File RTI Online in andhra pradesh? The application may be typed or neatly hand-written , wherein mention atop " application under RTI act 2005". The application may preferably be in writing though an e-mail is accepted as a mode as per law. Some Public Authorities have devised their own format for the applications. But there is no compulsion under the law to stick to such proforma. Applications cannot be rejected on the ground that they were not in the prescribed proforma.The application should be in English, Hindi or the official language of the area in which application is being made. Address is to the competent authority, (need not mention his/her name), simply address to the " public information officer". Application should be in a simple and easy language.Mention your question point wise, avoid asking vague questions, ask direct questions.Avoid using too technical terms or legal jargon. Attach Government RTI Fee in the form of IPO/DD/MO etc as applicable with the RTI Application. You can also ask for inspection of public works done in your village Adlipur,At the end mention your address properly. Undersign the application, do not forget to take a photocopy for your future references.At the end of the application make a declaration that you are an indian citizen. RTI in andhra pradesh ? 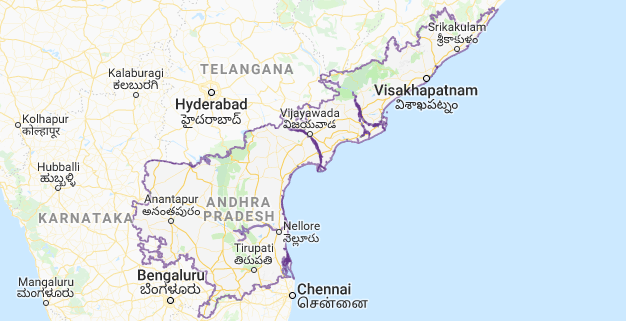 Andhra Pradesh is one of the states of union of india. In this state of Andhra Pradesh there are numerous issues that media is hiding and people are eager to know them. Health sanitation problems, Road and transport issues. Despite government's assurances and efforts electricity outages is a common issue here. State transport service is average. Road connectivity of rural areas to urban areas is yet to be accomplished. Government RTI fee in Andhra Pradesh is just rs 10, by way of cash against proper receipt/ipo/ dd/ (court fee stamp), payable to the pio or the officer so appointed by the govt. To collect RTI fees. Time limits for RTI application and first appeal is 30 days from the date of receipt of RTI application in the concerned office. In some cases it is 45 days if the pio has taken help of other officials. In case no reply is received within 30 days from the date of filing RTI, one can go for first appeal, before the official higher in rank of the pio concerned. In case no reply/decision is given by the first appellate authority on can approach information commission of Andhra Pradesh with second appeal. RTI rule for Andhra Pradesh is given below. Payment of fee can be made through cash against proper receipt, demand draft, banker's cheque, ipo (or court fee stamp) payable to the public information officer, Or to the competent authority as designated by the state government. RTI to know the Cost of projects undertaken by the MLA and MP :You can get information on allocation of funds used by MLA/MP. RTI for Health and sanitation : You can file RTI for Health and sanitation. RTI Act, 2005 does not provide any specific Format for RTI Application . You can write RTI Application in any Format. However, if you do not know how to write RTI Application just click on Apply now button and Fill the RTI Application form. We will file your RTI for Andhra Pradesh. For your convenient, We are providing simple sample RTI Application format . Just draft your application as per format and attach IPO or DD as per requirement and send it to the concern PIO. If still you face difficulty in drafting RTI application then take our service of RTI . Just click on "Apply Now" button and Fill the RTI Application form. We will file your RTI for Andhra Pradesh. – in person / by post / by e-Mail. me the date and time for my visit. and I am not required to pay any fees. Filing RTI was never so easy But we made it. You Just fill RTI Application form and make payment. We have developed simple RTI Application Form so that anyone can easly fill the form. You will receive information with in 30 days. In case you don't receive information with in 30 days then you have to go for first appeal to the heigher authority.